Masseto is the most expensive and exclusive Italian Merlot. 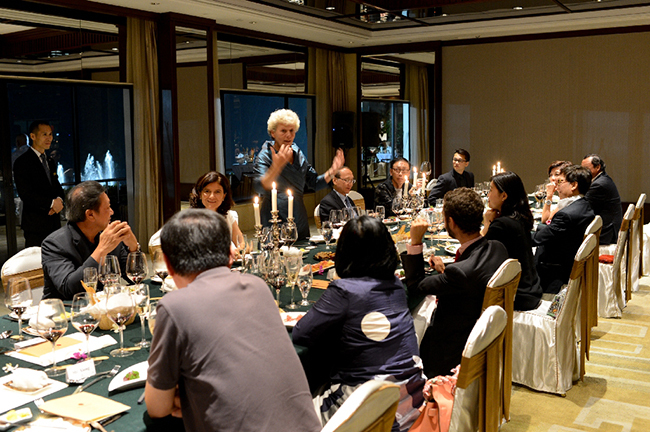 Due to its exclusivity, four years after the first official Masseto Wine Dinner in China (organized by Gelardini & Romani Wine Auction) it was time for a new official celebration of Italian Petrùs in the Celestial Empire. Attending the dinner was Alex Belson, General Manager of Masseto, and different vintages were tasted: the legendary 1997, still very powerful, yet balanced and elegant; the 2006, awarded by Robert Parker with his 100 points; and the latest release, 2013, recognized by all guests as the most elegant and accessible young vintage of Masseto ever. 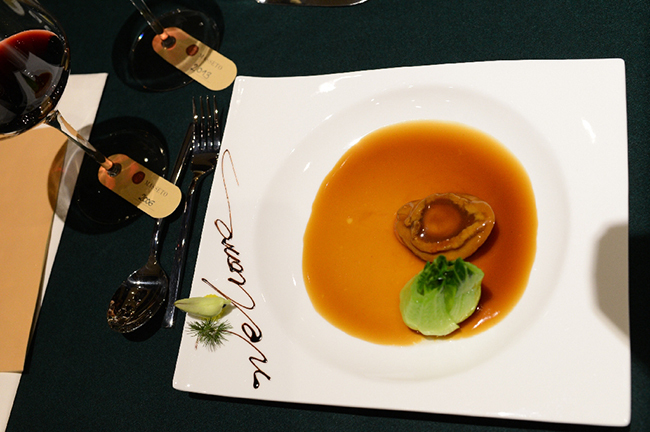 A delicious Chinese/Western menu accompanied the wines; “best dish” goes to Masseto 2006 & Abalone, a perfect marriage between Italian wine and Chinese cuisine. Where the Masseto vineyard now stands, there was once a coastal marsh, and over the centuries clay deposits formed, interlayered with “marine” invasions that increased the salinity of the substrate. Indeed, in the epochs that followed, the clays were overlain by thick deposits derived from the erosion of the hills, which were then mountains, and in some cases volcanoes. These deposits comprised gravels, sands, and various kinds of clay and rock fragments. Shocks of the most violent kind known, earthquakes, folded the layers into the ground, and one of these folds uplifted the Pliocene clays, bringing them to the surface and allowing them to once again enjoy the breezes from the sea and the warmth of the sun. Thus, Nature is the ultimate creator of Masseto. She first allowed the deposition of the clays in tranquil waterways, and then brought them to light through the violence of earthquakes. The richness of “this” hill has therefore always been the clay present in its soils, which have given signs of life over the centuries, as if they wanted to draw attention to the fact that… something important would happen there.